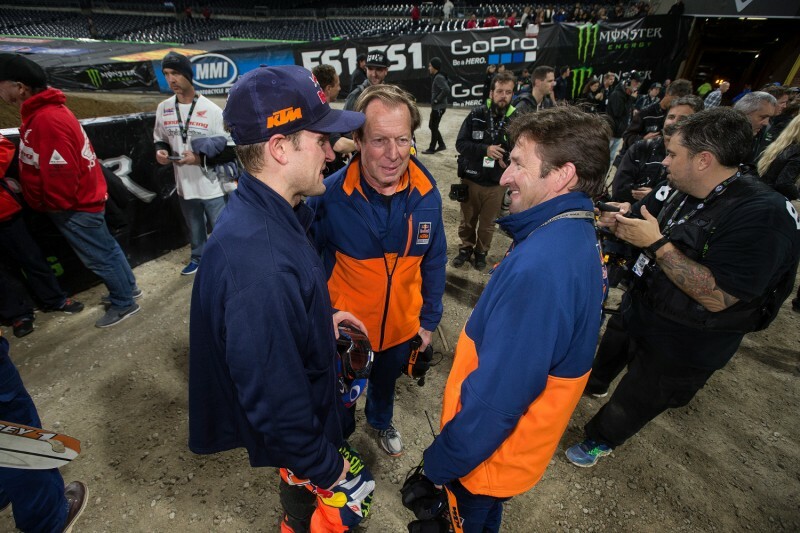 Roger De Coster has been rightfully lauded for the role and leadership he has brought to KTM and the wins and title success enjoyed by the likes of Ryan Dungey, Marvin Musquin and Ken Roczen and with the KTM 250 SX-F and KTM 450 SX-F in the last five years. Of course it is a team game, and one of the most important people supporting the famous Belgian is South African Ian Harrison. 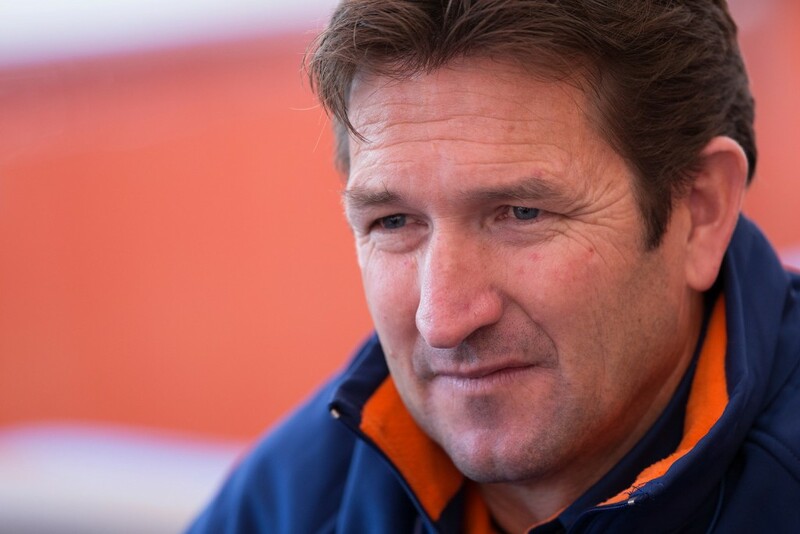 The Technical Director initially linked up with De Coster at his previous team and then continued the relationship when Pit Beirer and Robert Jonas overhauled the Red Bull KTM Racing operation around the end of the last decade. The partnership has been emphatic. 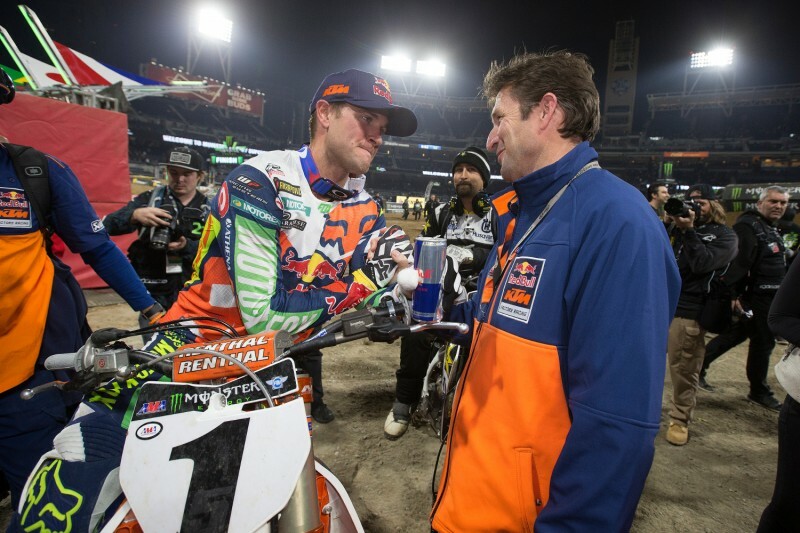 Based out of their homely Murrieta workshop, KTM are now one of the powerhouses of the busy American racing scene. When Roger called and asked you to come to KTM what was going through your mind? So for people who see you in photos, around the track or in videos can you just describe some of your responsibilities? Can you describe what it is like to work with Roger? How is the dynamic between you, him and between the team? Do you deal with riders on a personal level as well as a technical one? How has the structural change with the new 250 team affected your job? Lastly can you – personally – keep going with that schedule of Supercross, Motocross, and events like the Monster Cup and Red Bull Straight Rhythm?